The TRedess Fourth Series Low Power is a family of air cooled UHF Transmitters, Translators/Transposers and Gap Fillers, which bring together high-quality performance, modularity, flexibility, outstanding compactness and smart installation and operation, thanks to its all-in-a-box standalone architecture (exciter and amplifier on the same chassis). TRedess Fourth Series Low Power provides output power ranges up to 400W (500W for ATSC 1.0) and covers the DVB-T/T2, ISDB-T/Tb and ATSC 1.0/3.0 standards, for both MFN and SFN networks. Gap-fillers work in SFN using TRedess’ DEEC, the best echo canceller in the market. Fourth Series ultra-compact units (up to 75W/100W for ATSC 1.0 in 1RU, up to 150W/200W for ATSC 1.0 in 2RU, and up to 400W/5000W for ATSC 1.0 (Ultra-Wide Band Doherty) in 3RU, are ideal for scenarios with space limitation at the site. Thanks to Ultra-Wide-Band Doherty technology, important cost reductions in energy consumption can be achieved without impacting in a truly smart operation and maintenance. High level of compactness: 10W (15W for ATSC 1.0), 40W (50W for ATSC 1.0) and 75W (100W for ATSC 1.0) in a 1RU unit. 150W (200W for ATSC 1.0) in a 2RU. 275W (350W for ATCS 1.0) Class AB and 400W (500W for ATSC 1.0) UWB Doherty in a 3RU. Ultra-Wide-Band Doherty for 400W (500W for ATSC 1.0) transmitters: energy efficiency with same HW for the entire UHF TV band. 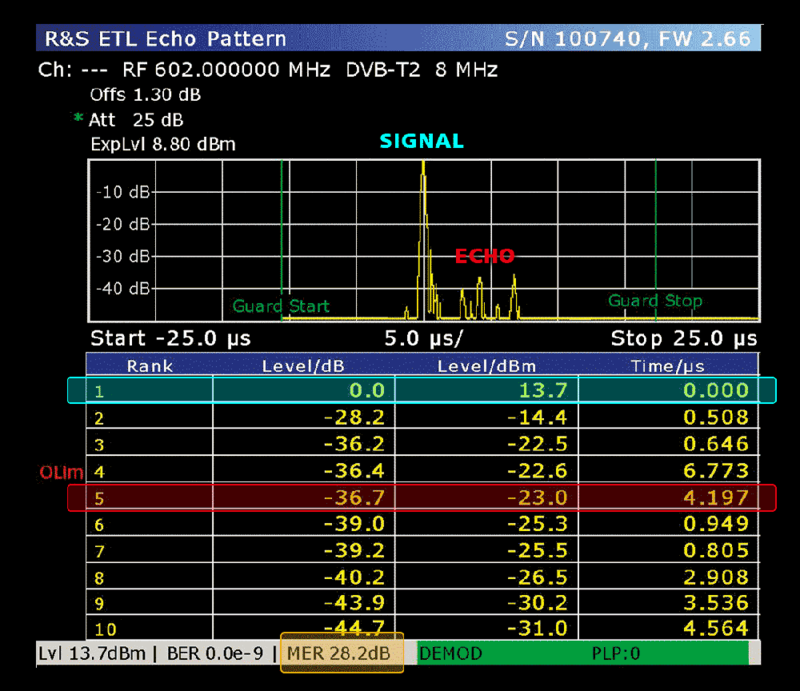 DVB-T/-T2, ISDB-T/-Tb and ATSC 1.0/3.0 modulations supported. MFN and SFN operation. Extractable hot-plug PSU in 275W (300W ATSC 1.0) and 400W (500W ATSC 1.0) units, optionally redundant. 2xTS over IP inputs and 2xASI inputs or 2xSMPTE (default) with seamless switching. Digital linear and non-linear pre-correction. 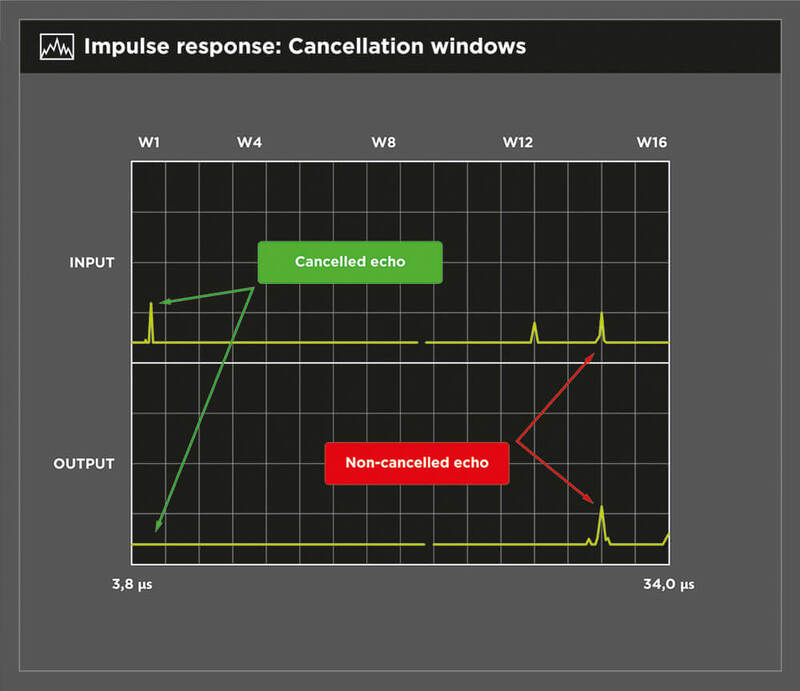 Built-in echo canceller DEEC able to guarantee: Gain Margin = 24 dB. Doppler echo cancellation. Configuration of selective window up to 37 us. 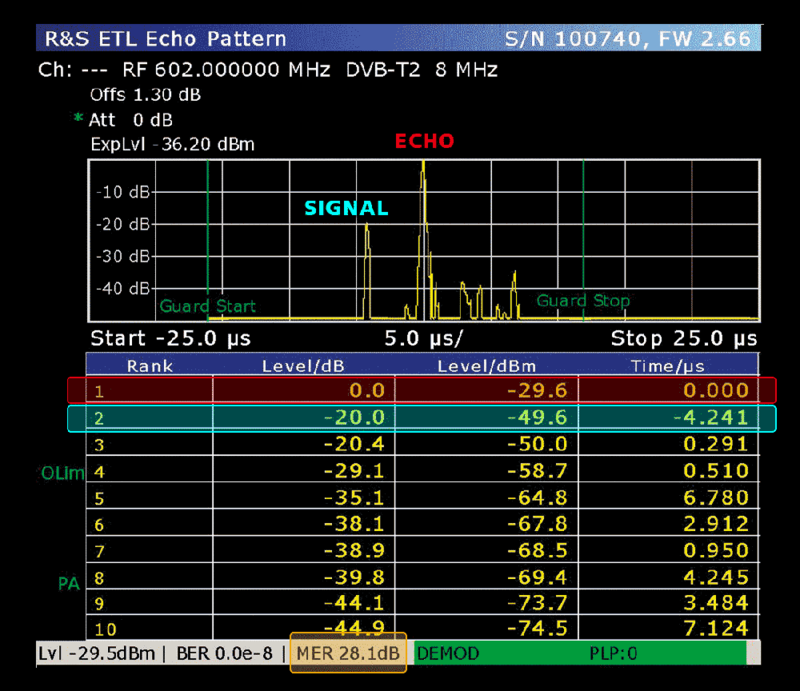 Example: cancellation of an echo 20dB higher than the signal with DEEC echo canceller, with output MER > 27dB. Optional 1+1 and N+1 redundancy functionality: No need of an additional switching unit for the 1+1, saving cost, rack space and reducing points of failure, as the intelligence for the switching is located in the Transmitters itself. Additional switching. Full remote control functionality for easy remote operation: Including smart web interface, SNMP agent and I/O contacts interface. Very flexible routing capability for Ethernet and TSoIP traffic. Optional built-in Terrestrial RF input (DVB-T/T2): Allowing for DVB-T2 SFN Regenerative transposer operation based on T2-MI + Mode A encapsulation. Multiple PLP supported (up to 8 PLP) in DVB-T2. Additional SFN GPS-free operation with BTS-rate-lock in ISDB-T/Tb. Optional built-in Satellite (DVB-S/S2) input. No need of an additional switching unit for the 1+1, saving cost, rack space and reducing points of failure, as the intelligence for the switching is located in the transmitters itself. View of the Transmitter output spectrum both locally and remotely. 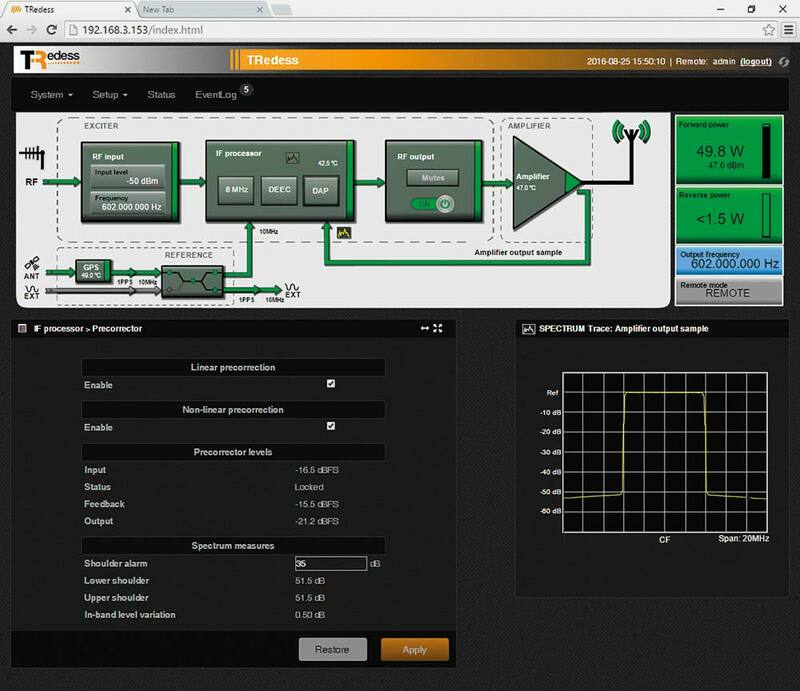 Very intuitive graphical interface allowing a full control and operation of the transmitter. Counting with the Best echo canceller available on the market, allowing the cancellation of high echo levels with an optimum output MER quality. Significant cost savings due to the possibility of installing a TRedess Gap Filler with DEEC in site scenarios where other manufacturers would only be able to install a Transmitter. Very flexible Echo cancellation system based on a 16 cancellation windowscost savings due to the possibility of installing a TRedess Gap Filler with DEEC in site scenarios where other manufacturers would only be able to install a Transmitter.